First there was the Magnificent Seven, and then the Hateful Eight. 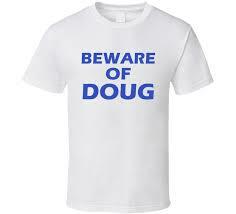 Now Boss Ford and his acolytes at Toronto City Hall have formed The Dirtiest Dozen. It’s neither a heroic story, nor an anti-hero story. It’s a horror story. The mob is lead by Boss Ford and a well-known supporting cast. In alphabetical order we have: Glenn De Baeremaeker, Justin Di Ciano, Vince Crisanti, Michael Ford, Stephen Holyday, Jim Karygiannis, Georgio Mammolitti, Frances Nunziata, Cesar Palacio, David Shiner, and Michael Thompson. Not many left-leaning pinkos amongst this group. Then there’s Jim Karygiannis, another career politician with a reputation for social conservatism despite having a long run with the federal Liberal Party. In 2002, Karygiannis was voted “laziest MP” in a poll of Parliamentary staffers. Duriing his term of service in the 40th Parliament, the Globe and Mail studied his voting record and ranked him third in the list of politicians that missed votes. It gets better. In August 2011, Citizenship and Immigration Committee officers complained of Jim Karygiannis using abusive language and an aggressive tone while speaking to them. Karygiannis stated that the accusations were false and part of a “smear campaign” against him. That behaviour didn’t change when he became a City of Toronto Councillor. In June of 2016 – the ethics commissioner found that Mr. Karygiannis broke the city council’s Code of Conduct with targeted intimidation of local residents that was deemed “shocking” by the ethics watchdog. Another smear campaign. Shortly after he was removed from his post as veterans affairs critic by Justin Trudeau in 2014, Karygiannis announced his resignation from the Liberal Party to be closer to home. This career politician then announced his intention to run for municipal government in the October 27th election. Karygiannis seems to have found a better match in Ford Nation for his alleged bullying and intimidation tactics. Michael Thompson: as reported in the Star, he apparently needs to watch how he spends taxpayer dollars, being unable to account for more than half of the $75,338 he spent in 2016 and 2017. And this from a guy who had the economic development chair portfolio. Apparently fiscal responsibility wasn’t a requirement. David Shiner: While a city counsellor, Shiner was also a registered federal lobbyist for MCW, a company that had received $7.6 million in city contracts and was competing for several million dollars in city contracts. Not illegal, but looks slimey, especially when you and Mammo received such big discounts on your Greenwin-Verdiroc Group rental apartments. And really David, how many streets can you name after your relatives? Justin Di Ciano: For the past year, Commissioner Valerie Jepson has been investigating a Code of Conduct complaint against the councillor. She’s obligated to alert authorities if any other more serious alleged breach surfaces. She was looking into whether Di Ciano may have benefited financially or politically from his relationship with an Etobicoke developer. Michael Ford: the most moderate and progressive of all the Fords. Also politically clever. He changed his name from Michael Douglas Aldo Ford Stirpe to Michael Ford just before running for municipal council. Without the “Aldo” and the last name of “Stirpe” on the ballot, that “Ford brand” name recognition probably helped, He won the election. Frances Nunziata : brought up before a human-rights tribunal in 2010, when her former executive assistant alleged harassment and discrimination. Vincent Crisanti: simply a blind faith dedicated supporter of the late Rob Ford and of Doug Ford when he ran for Mayor … and lost. Stephen Holyday: Just a good ol’ fiscal conservative who wanted to defund the Toronto Pride Parade. Stephen may have missed the fact that the 2014 Pride Week in Toronto, often referred to as a “rainbow coloured cash cow,” generated $286 million in economic activity, creating more than 3,400 jobs, and $61 million in tax revenue. The one puzzle is Glenn De Baeremaeker. How does a vegan environmentalist best known for his work to protect the Oak Ridges Moraine and Save the Rouge fit in with a environmental illiterate like Doug Ford? Think of this: if the Ford plan to cut Toronto municipal council down to 25 seats succeeds and the Dirtiest Dozen bully and intimidate their way into majority territory, it will make the Mike Harris and Rob Ford years of tragic chaos look like an episode of Leave it to Beaver.